BY Marissa Cooper, October 25, 2016-10:00 a.m.
DENVER - Expand your online classroom with the new eScience Labs Physical Geology kits. Instructors can choose from, or customize, our Standard, Basic, or Rocks and Minerals kits to create an affordable, quality learning experience. Uncover the Earth with 15 labs and 21 exercises including Google Earth™ exercises, ten detailed instructional videos, interactive digital lab manual and contemporary case studies that provide perspective into geologic events and Earth surface processes. eScience Labs Standard Physical Geology Kituncovers the Earth from its deep interior to its dynamic surface. 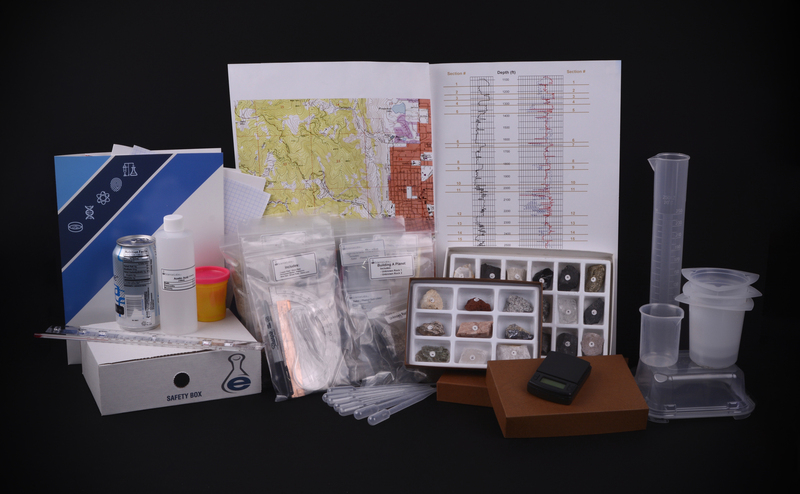 This kit is designed for a full-term of instruction, and includes 15 labs and 21 exercises, ranging from analyzing seven minerals and 24 rocks to plate tectonics, mapping, and Earth surface processes. eScience Labs Basic Physical Geology Kithas eight labs and 12 exercises that focus on analyzing seven minerals and 18 rocks, plate tectonics, and mapping for subject-focused terms. eScience Labs Rocks and Minerals Kit is made-up of seven minerals and 18 rocks, and includes five labs and five exercises, ranging from plate tectonics to rock and mineral identification. Designed to seamlessly integrate into existing geology course curriculum. “Our physical geology kits balance any term of instruction, ADA compatibility creates a flexible and accessible learning environment, and hundreds of Respondus question banks increase the rigor of the course and reduce plagiarism,” said Christina Blue, eScience Labs PhD in Geosciences. eScience Labs is a privately held company located in Sheridan, CO., founded in 2007 with the mission to provide online and blended learners with the opportunity to engage in hands-on science exploration outside the traditional on-campus laboratory experience. Today, eScience Labs partners with more than 350 higher education institutions to offer 18 science course subjects and 400 labs.